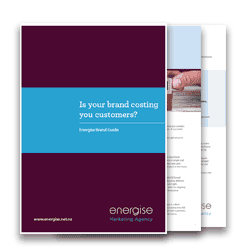 Where you don’t have your own marketing team or your current team is stretched beyond capacity, Energise can offer their specialist Outsourced Marketing Team to assist. We can provide the skills and experience to successfully activate your marketing plan to achieve results and build brand awareness. 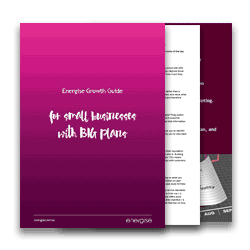 This has proven to be a far more cost effective approach than hiring your own full time marketing resource. If in doubt… contact us to see how we can assist. Our creative design team is on hand to weave their magic and produce eye-catching, effective campaigns across a range of media – from magazines, billboards, newspaper, brochures, signage, flyers to point of sale material. From scriptwriting, to recording and placement, we’ve got it covered. We can oversee website design, build and launch phases. We also have the expertise to manage email campaigns and social media activity, while ensuring maximum online impact. Our team can design, create….and then organize distribution of email marketing campaigns or regular newsletters. Do you want to have presence at an industry show and don’t know where to start? We can assist by capturing your vision, planning your stand, and overseeing the design and production of any required support material. Need to put together an effective PR campaign to maximize brand impact? No problem, we’re here to help. Do you want a social platform that grows brand awareness, advocates and prospects? We work with you to create a Social Media Plan which you can choose to activate yourself, or alternatively have us run it for you.